Irina was on a mission to make sure everyone meets & greets & remembers each other´s face at the festival. That´s how the content of networking session was born. She also helped to curate the content of the startup track, which is a demanding one! Read on to know why entrepreneurship is an ice-cream store and how she became an astronaut on Earth. Many say the irritating part of networking is the “small talk” in the foundation of it. Would you agree with it? Well, many people say that it is essential to force yourself to make the small talk as a way to create a personal contact. But there are ways around it! There are formats that enable people with different backgrounds to forget their ego barriers and irritations. So when creating a networking session for the festival, we actually made sure it´s a game more than anything else. It is a well-known fact that people tend to construct knowledge and perceive new information better through games. So answering to your question, small talk could be considered an irritating part of networking, but a right format can totally swipe away this perception. People in Beta festival included more than 50 sessions. If you were to choose one skill that each startup guy/girl should have taken home from the festival, what would it be? I was very ambitious about becoming an astronaut. I dreamed about investigating new universes. I´m still doing that, but on a more grounded level. I am passionate about fitness. Sport is my favourite recipe for staying happy and balanced. I admire people who notice the beauty of everyday life and see something unusual in ordinary things. I am also inspired by life-long learners and impressed by people who educate themselves despite their age or any other circumstances. You get outside of your house, walk along the street, despite the season of the year, whether it is summer/autumn/winter/or moreover FRÜHLING in BERLIN – you enjoy every moment of your life. If I could, I would make sure that people live at this particular moment in time. Hence, they would be able to understand what they are doing at this moment and what´s the reason for it. I believe if people were more conscious, our word would be different in a better way. Tea! Plenty and plenty of strong English tea. Thus, almost never coffee. “The answer can't be found in books - or be solved by bringing it to other people. Not unless you want to remain a child all your life. You've got to find the answer inside you - feel the right thing to do. Charlie, you've got to learn to trust yourself”. 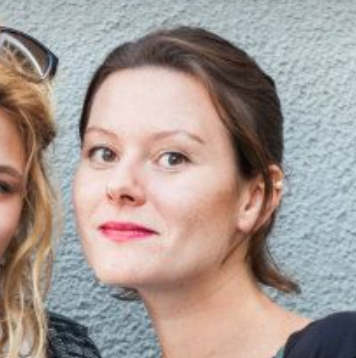 Join Irina and other entrepreneurs at betahaus! See how here!